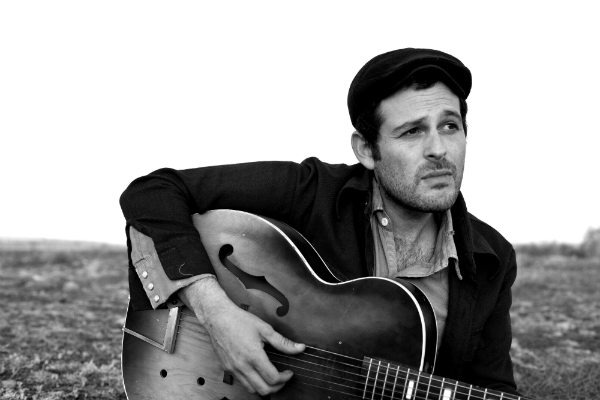 While it may not boast any ballads about Jim Cantore’s storm tracking or waking up with Al, South-African born Gregory Alan Isakov’s third album, The Weatherman, debuted at #5 on Billboard’s Folk chart and hit #1 on the iTunes Singer/Songwriter chart – not too shabby at all. Isakov recorded The Weatherman in the mountains of Colorado, the state he now calls home, where he spends his days writing songs and putting his degree in Horticulture to work. He spoke with us about Leonard Cohen, his songwriting process, and why Coldplay’s Chris Martin deserves more credit. You live in Colorado – what’s the music scene where you live like? Is it an inspiring place? I think Denver has one of the greatest music scenes out there. Any given night of the week there are amazing bands to see. You were born in South Africa – did you listen to Rodriguez, or were you aware of him? My parents had his records growing up, along with other great albums. I was pretty stuck on Simon and Garfunkel and Michael Jackson. I never heard Rodriguez until recently. Tell us a bit about your new album. To me, all the albums are really different. I recorded this one purely analog — which is really different for me — so I couldn’t perfect everything, which I think gives the songs a certain looseness. The songwriting on this record is less ‘fine toothed’ I guess, than most of my other albums. I tried to simplify as much as I could. A lot of the songs happened quickly — I didn’t rewrite a lot, I didn’t edit a lot, I just let the songs be what they wanted to be, which was kinda difficult for me. I just wanted to make something really honest. Do you have a favorite weatherman? I like Leonard Cohen. I like Sam Beam a lot. I like Nick Drake. I like John Steinbeck, even though he’s not a songwriter, but he could have been. I started writing songs in high school. It’s a craft I don’t think I will ever master. I don’t know if anything is good for a long time after. Some songs live longer than others I guess. There were a few that made it to this e.p. I made called, ‘Rust Colored Stones.’ It was mostly bedroom cassette recordings. The first song I ever wrote? I don’t remember. There were a lot of bad ones. I was really into Elizabeth Cotton, so I would try to make old sounding blues songs, but none of the early ones ever stuck. I always have a couple seeds — I call them recipes. I always have a few recipes going at once. Post-It makes this poster-sized paper you can stick to your walls, so I have lyrics going on those. Sometimes at night, I’ll wake up and know how to finish one of them, but a lot of them are taped up on the wall, so right now I have a lot of unfinished songs. Plus I got a little tape player I use to get ideas down. So I have a lot of tapes I have to still go over to see if anything is worth pulling out. I recently did a section of the Appalachian Trail through Vermont. A lot of songs got started, and a lot of times that’s all I need. Then they sit on the walls until they are ready to be finished. Regular, everyday stuff. Mostly being in nature. Traveling inspires me to write. People. And gardening. I like “noticing” songs. How do you go about writing songs? Well, I keep pens on me all the time. I’m always writing. It’s like you walk around eating poetry and then you throw up a song at the end — i think Jolie Holland said that once, but that’s how it really is. I had this friend in college. He wrote a song every day, so at the end of the year he had 365 songs. He told me there was this exhibit in St. Louis of oysters and pearls. And at the end of the exhibit there was this big glass vial filled with pearls, and something like 80% were throw-away, low-grade pearls and then 15% percent were beautiful jewelry pearls. And then there was this top 1 to 5 percent that were like gems. So if that’s how it is in nature, it’s probably similar with songwriting. What is your approach to writing lyrics? I don’t have a formula. I don’t think there is one. I really like the way Amsterdam came out – it came out just the way I thought about it when I was writing it, like playing an old tape that my dad had in a box in the basement. What’s a lyric or verse from the album you’re a fan of? I like when lyrics come out that feel like I didn’t even write them, like I didn’t have to work. A lot of the album came out like that. Like “St. Valentine.” That whole story kind of just unfolded. I like “Second Chances,” the line, “All of my heroes sit up straight.” I like first lines. It hasn’t gotten easier to write songs. Definitely not. But I’m okay with the process now. If nothing comes for a while, I know eventually it will. Whereas before it seemed like there was an urgency to follow everything through all the time, like if I didn’t catch them quick they would be lost forever. and now I know I can wait a little bit on songs. But I don’t really think about writing songs as hard. You either need to do it or you don’t. It should feel good to write a song. If it doesn’t feel good to write a song, I’ll just garden or do something else. Are there any words you love or hate? I only don’t like a word when it takes you out of the world of the song. A word can feel out of place. Yeah, I write prose. Some of it will make it into the music. A lot of times it doesn’t, but it’s sort of like a muscle that needs strengthening. If you could co-write with anyone living or dead, who would it be? Leonard Cohen — easy. I’m pretty lucky though, because I co-write with a lot of great songwriters, like Johann Wagner, and Ron Scott and Reed Foehl and my brother Ilan. All of them made it onto this record. Most of them! Especially some lesser known people like Willis Allen Ramsey. But also a lot of really big pop stars – they’re great songwriters, but most people don’t see them as songwriters. Like Chris Martin – from Coldplay – is a great songwriter, but most people think of him as just this pop guy. What do you consider to be the perfect son), and why? I think a perfect song is one that makes you feel something. One that makes you forget that you’re listening to a song. I think Leonard Cohen’s “One of Us Cannot Be Wrong” is one of those. You feel like you’re in a different place from where you started from. Also, “Highway 29” by Bruce Springsteen — that one really takes you somewhere. I like songs that take you someplace. Make you drunk for a second, and bring you back, and you are different afterwards.